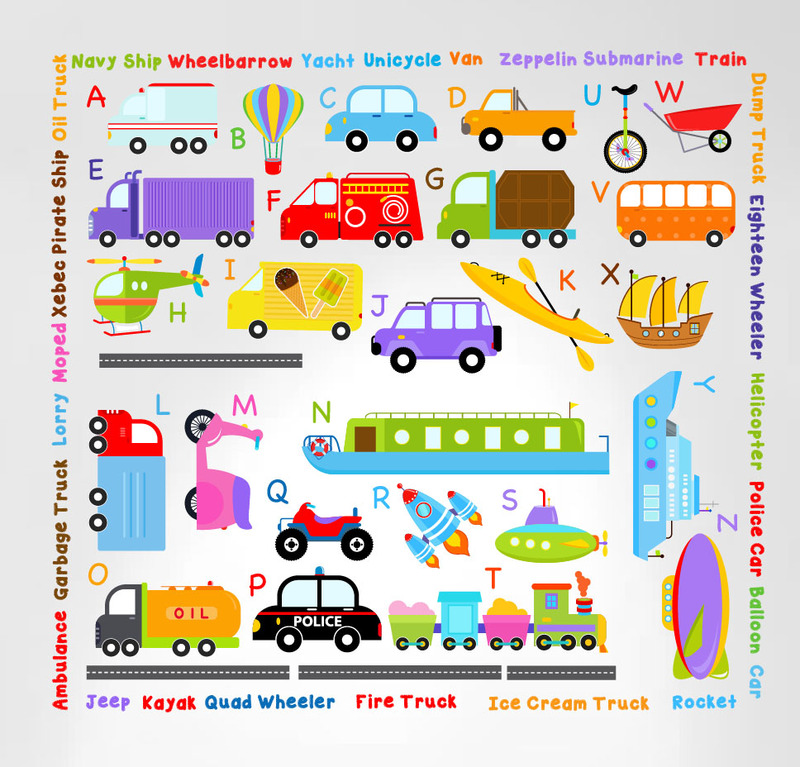 Click the button below to add the Transportation Alphabet Peel and Stick Wall Decals #3004 to your wish list. 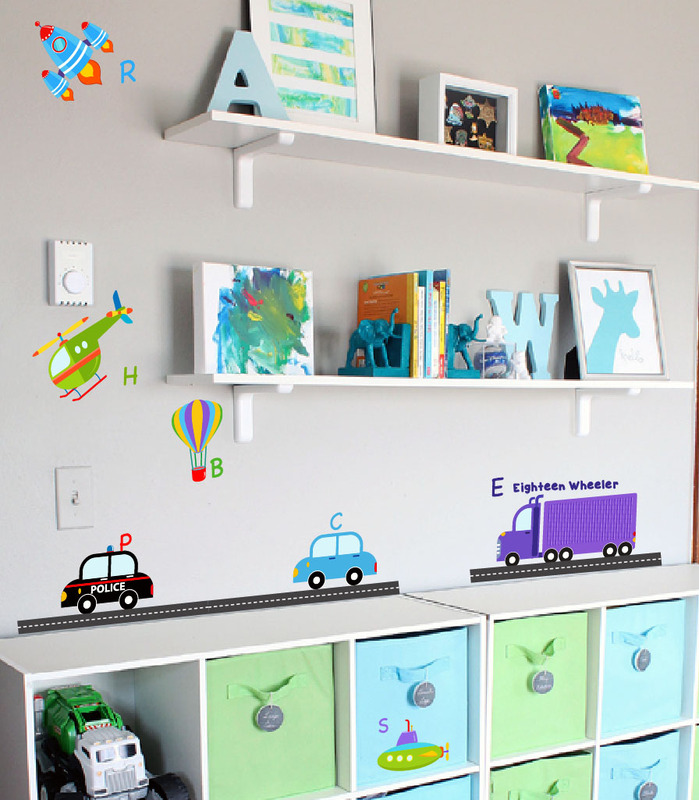 Decals are the perfect size for any sized kids room. Smaller truck measure 3" x 5" and larger pieces are 4" x 10"
Innovative Stencils Peel and Stick decals are removable and reusable decals that stick to any smooth surface and remove cleanly without damaging your walls. Comes on 3 sheets each measuring 10" x 18"